After taking a screenshot. The screenshot goes to the bottom right hand corner. It disappears after 5 seconds (yes I timed it). How can I extend this time? I know this is slightly off-topic and not quite a direct solution to your question, but this option may be of interest to you. You mentioned taking screenshots for tutorials… . I use Take screenshot selection, upload to imgur. + more cool things almost exclusively. The imgur-screenshot utility, straight out of the box without configuring any options, uploads the screenshot to Imgur , opens a browser window of the uploaded screenshot (for easy access if you need to manipulate the image), copies the URL of the screenshot to your clipboard, and also stores a local copy of the image. set imgUR to (path to me as string) & "Contents:Resources:Script Libraries:imgur-screenshot.sh"
Not the answer you're looking for? Browse other questions tagged screen-capture preferences mojave . 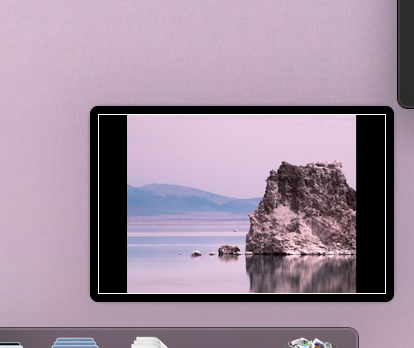 How do I change the login screen background in macOS Mojave? With Mojave (macOS 10.14), why does the Message app close itself?